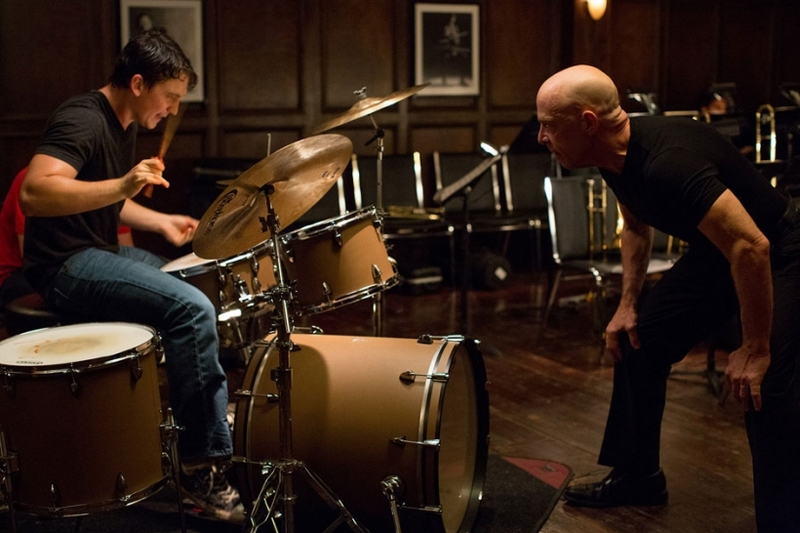 Whiplash is a tale of what people put themselves through in order to be one of the best, if not the best. For Andrew (Miles Teller), a promising young drummer at a prestigious music conservatory, joining the ranks of jazz greats such as Charlie Parker (AKA Bird) and Buddy Rich means that he is significant, both in the eyes of the world and his family. 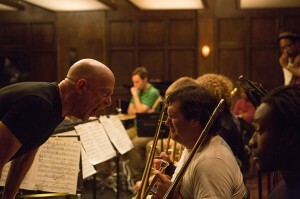 When subjected to the cutthroat methods of perfectionist conductor Terrence Fletcher (J.K. Simmons), he realizes that he must prove himself in Fletcher’s eyes in order to get closer to his ultimate goal, even if that means going through constant emotional and physical abuse. Let’s face it: we love stories of adversity, of people overcoming the odds. They’re a product of the “Work hard to reach your dreams” mentality and philosophy, and we’ve all been in a situation where we had to just that. That becomes our emotional connection to Andrew, whom – despite being a rather unlikable character – we want to see succeed because we see a bit of us in him. The film takes full advantage of this audience-to-character relationship by having Andrew endure such grueling and miserable treatment, both from his peers and Fletcher, and we feel every single drop of blood and tear he sheds. His struggle becomes our struggle, and his frustration ours. If it isn’t already obvious, then it should be said: this is an emotionally draining picture. 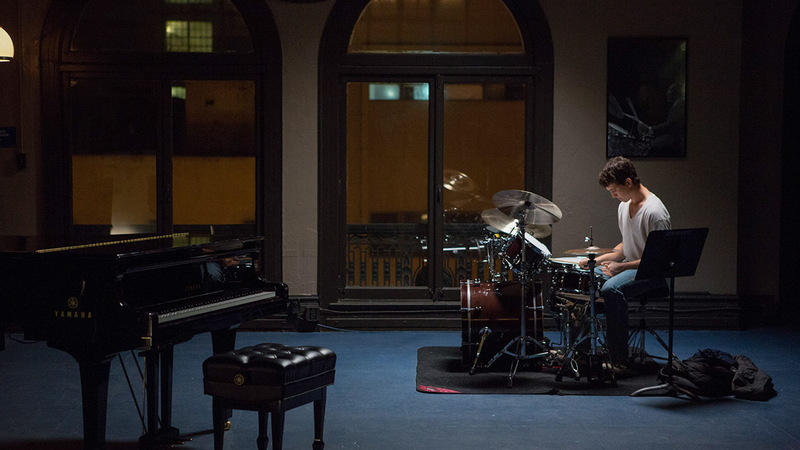 At the forefront are two incredible performances that give the film its heartbeat. Teller absolutely nails the role of Andrew, pulling off frustration perfectly when his emotions become unhinged, and also effortlessly portraying the antisocial and undesirable aspects of the character. 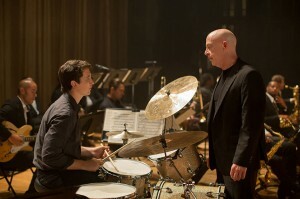 Opposite him is Simmons, who is so intense and intimidating that he steals every scene he’s in. It’s incredible how he can draw us in with an affable personality, only to explosively reveal Fletcher’s true, venomous colors. In his performance is a breathtaking psychological game; he’s precise and ruthless with his verbal jabs, and even when he’s silent, we can see him sharpening his arsenal of insults before plunging them into his hapless students. 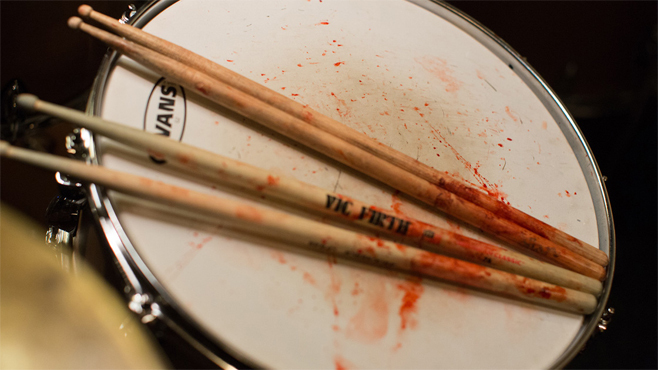 If one were to pinpoint what film genre Whiplash would belong to, it would likely be a drama, but it certainly wouldn’t be a stretch to describe it as a horror or psychological thriller. In presenting the emotional and mental breakdown of a human being, the film subtly hints at Fletcher’s presence in every scene. Even when Andrew is by himself or with other people, the conductor’s dark aura can be felt, particularly whenever he’s off practicing or making mistakes; it’s natural to imagine Fletcher hurling another round of expletives or expressing disapproval even when his student is tending to personal matters, and that’s what makes the experience of following Andrew so unnerving. That being said, the film builds and holds tension at ease, making it a thoroughly gripping picture. Not once does it become a slow burn, which allows it to keep its energy well. It helps that it streamlines Andrew’s relationships with his family and love interest, and while some may say that doing so comes at the cost of character development, Andrew’s personality and attitude towards others are practically synonymous, so those can be dealt with utmost brevity. I will say that my suspension of disbelief dropped due to a scene in the second act, and the film does experience some hiccups in trying to reach a narrative crescendo, as I thought it could have ended at least 3 or 4 times before it actually did. 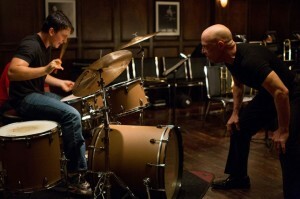 The film is wonderfully crafted with the intention of emphasizing the characters’ emotional and mental states. It’s edited to the beat, blast, and strum of the instruments, which are always accentuated. When taking into consideration the fact that the players are always at the edge of their limits thanks to Fletcher, we see that music being played isn’t something to be enjoyed, but instead to be toiled for. It mirrors the twisted psyche of the characters, and director Damien Chazelle heavily employs the use of extreme close-up shots to capture their anguish or, in Fletcher’s face, near-apathy. Whiplash is a terrific film, and such is its effectiveness in conveying its characters and their conflicts that its impact will stay with you for days (at least, it did for me). For most, music is something to be enjoyed, whether it be in genre, lyrics, or tune. 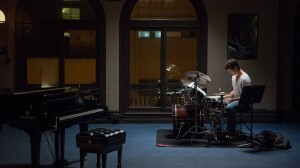 Although it’s a purely fictional story, the film can serve as a reminder that, to some, music is something to push oneself to the limit in order to achieve perfection of beat and tempo; at times, it may be the cry of a anguished soul.